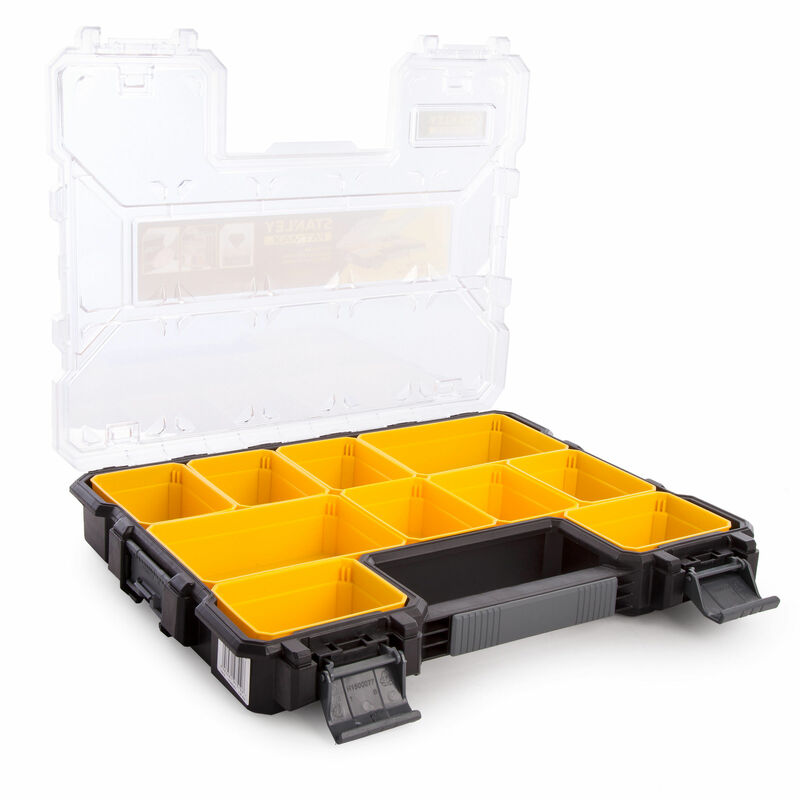 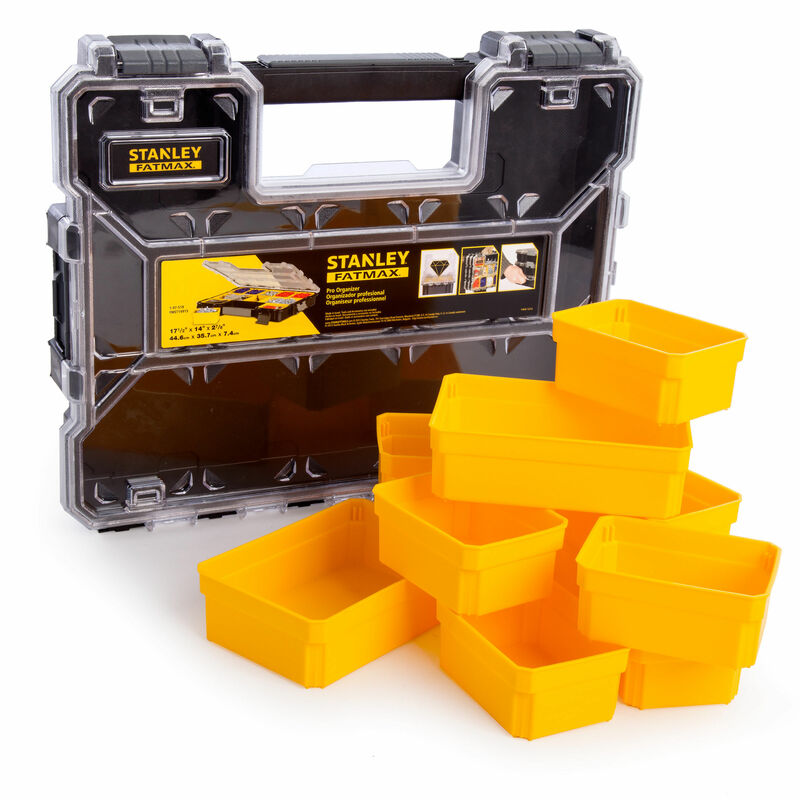 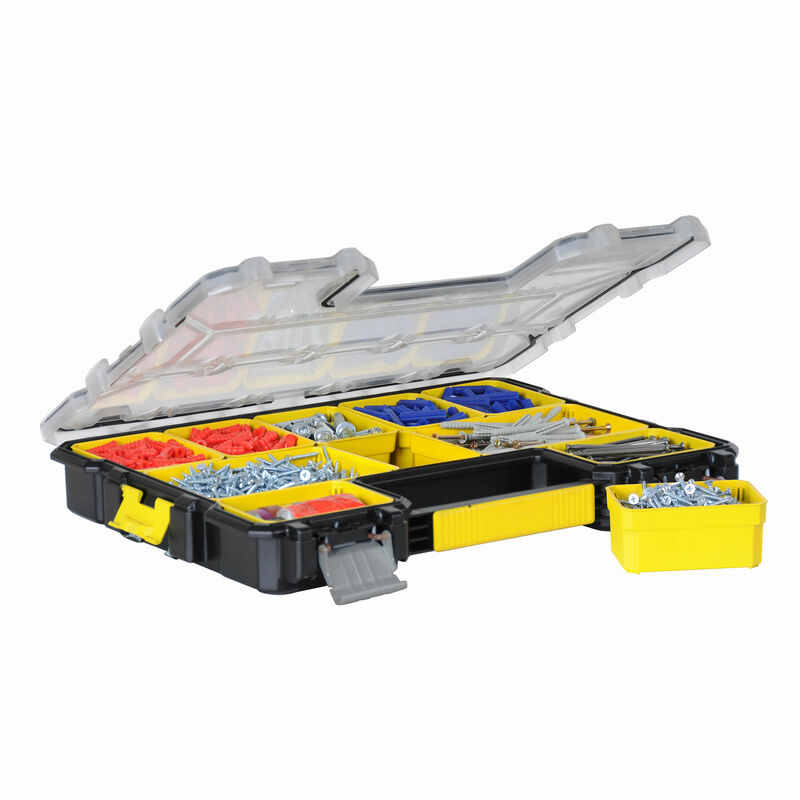 The Stanley 1-97-519 is a shallow pro organiser with 10 removable storage compartments providing storage for small parts, components or accessories. 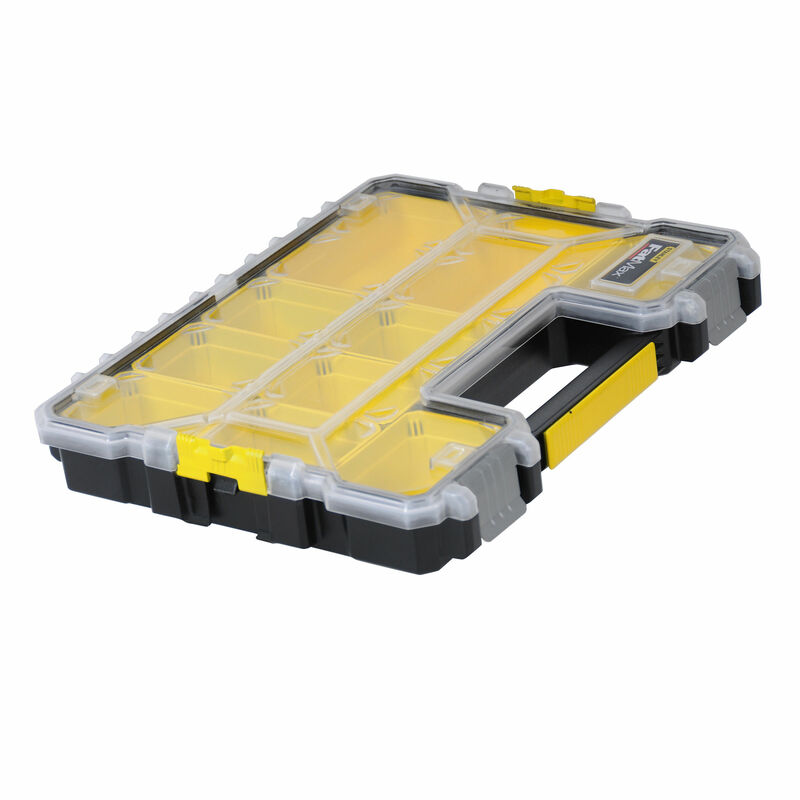 The Organiser measures 450 x 360 x 75mm. 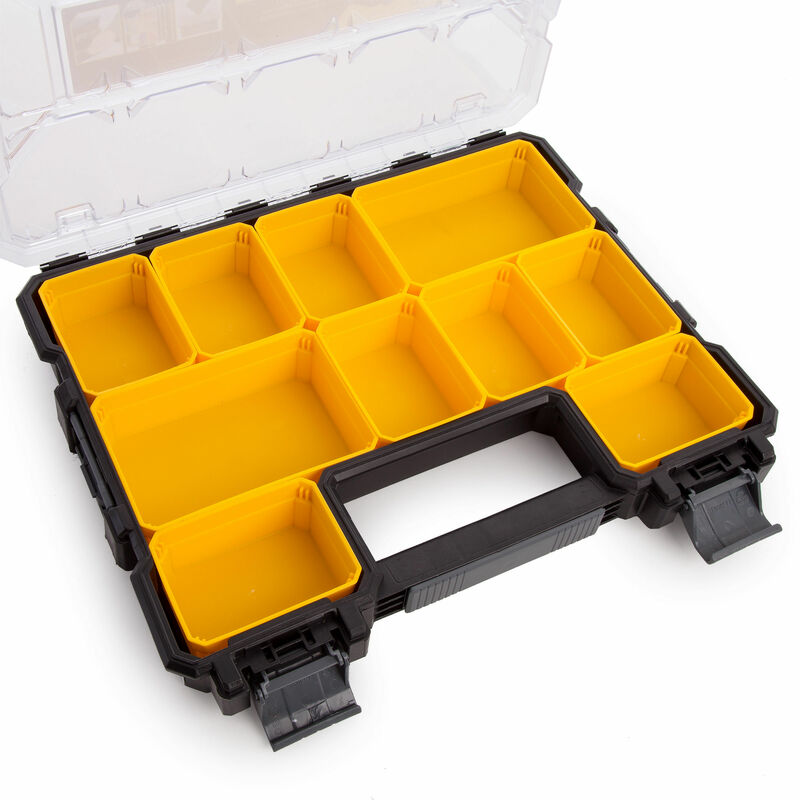 Inside there are 2 compartments measuring 165 x 110 x 50mm and 8 compartments measuring 110 x 80 x 50mm. 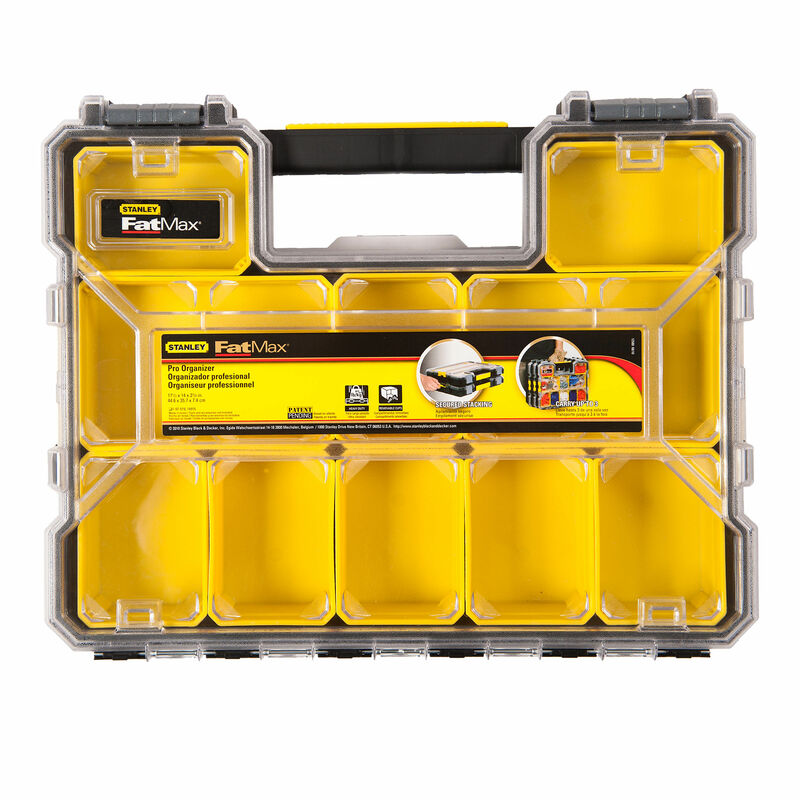 Offers protection from moisture, keeps different items seperate with everything easily visible through the clear lid. 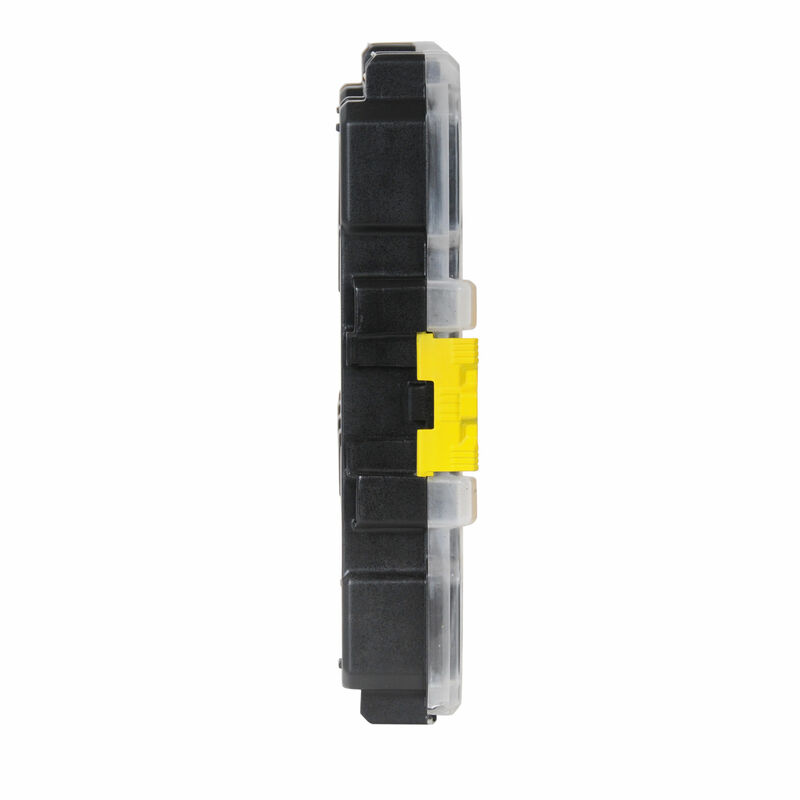 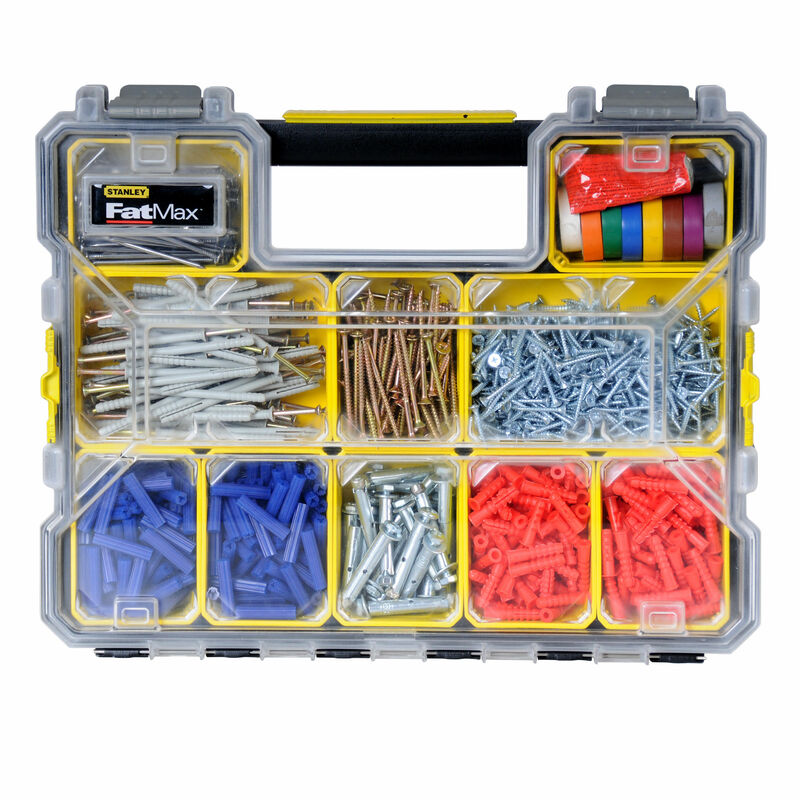 Multiple organisers can be clipped together neatly for storage purposes. 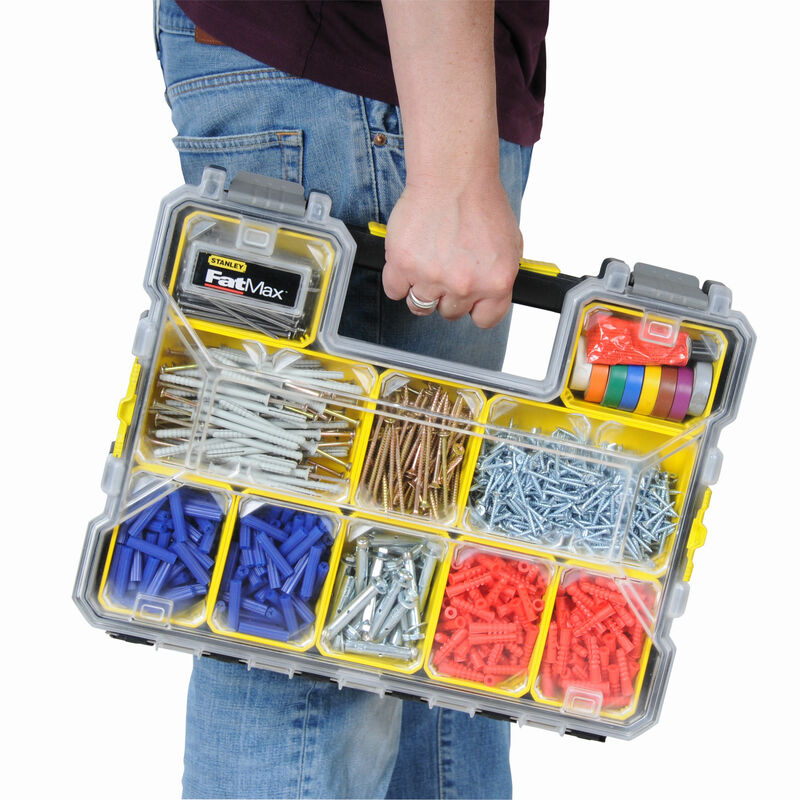 Tools and accessories pictured are NOT included.